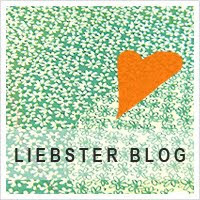 Thank You for the Liebster Award! Leila, thank you for tagging me and giving me the Liebster Award. It’s a great honor. Also your blog is awesome! 1. Each blogger must post 11 things about themselves. 2. Answer the questions the tagger has set for you. 3. Create 11 questions for the bloggers you have tagged to answer. 4. Choose 11 people and link them in your post. 1. I have a serious case of British invasion fever. 2. Washing dishes is my favorite chore. I think it’s because of all dishwashing I had to do as my punishment during the summer camps. 3. My hobbies include painting and jewelry-making. 4. I’m still not over the Olympics, so I’m reading Gold by Chris Cleave right now. So far so good. 5. Two things I must have daily: COFFEE and DARK CHOCOLATE! 6. I like to watch The Bachelor/ette. So what? 7. The Harper’s Bazaar and Elle are my fashion bibles. 8. I’m a proud child of Polish descendants. 9. I have one year old son who is an absolute joy in my life. He signs CHOO-CHOO for anything that has wheels. How can you not love that? 10. I love being near a body of water, especially ocean. 11. I meditate sometimes to de-stress. I strongly encourage people to try it. 1. What does your favorite pair of shoes look like? Describe them in detail and explain why they are your favorite. Take a picture, even! 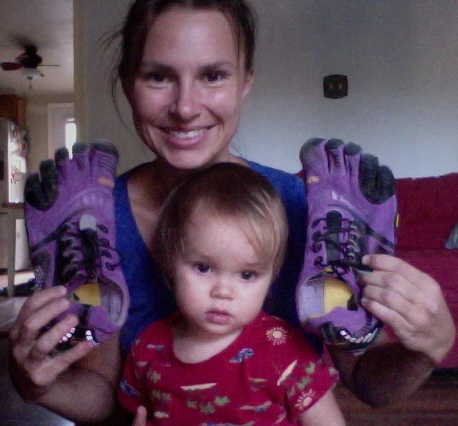 I just bought my second pair of Vibram Five Fingers. I absolutely love them! I can’t imagine going back to regular sneakers again. 2. What is your all-time favorite movie, or the closest thing to it? That’s always a hard question for me since I don’t have any particular favorites. I like different movies for different reasons, but few of them are impossible to forget like My Girl, the first movie I cried to ever. I was 8 years old at that time. 3. What is one thing people generally like to eat or drink, but you can’t stand? 4. Why are you where you are right now? That’s a long story, but in a nutshell, what would you do in the name of love? 5. What is one guilty pleasure you would have a hard time giving up? 6. Favorite month of the year, and why? January because it’s beginning of the year, and all summer months because they are summer months! 7. One place you loved traveling to? Several, but I’ll have to say Costa Rica. 8. What is the one word in the English language that you absolutely love? Love. It’s a lovely word. 9. What are you reading now? Would you recommend it? I’m reading two books simultaneously- Gold by Chris Cleave and Burn Down to Ground by Kambri Crews. Both highly recommended. 10. When you just need a place to escape to, where do you go? Somewhere with trees and grasses. 11. What physical trait do you have that makes you you? I have a couple of scars on my left knee. 2. Any exciting plans until December? 3. Who’s your favorite author and why? 4. What’s on your must watch movies list? 5. What is your favorite era in history and why? 6. What’s the most memorable place you have been to? Why? 7. Which do you prefer to live, on the mountain or by the ocean? Why? 8. What is your beauty routine? 9. When do you feel most beautiful? 10. What is the last thing you do before you shut your eyes for the night? 11. What is one thing you MUST do before you die?